Earlier this year, in February 2016, the first of the three Shenmue III Kickstarter reward dinners with Yu Suzuki was held in Monaco (actually, in the nearby town of Eze - there is a fantastic article write-up of that weekend by one of the participants, Amir Moosavi, that you can read here). 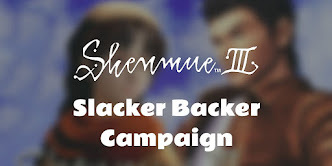 Yesterday was the day for another select group of noble Kickstarter donors who backed Shenmue III at the top-most level, together with their guests, to join Yu Suzuki for the dinner reward in Japan. The photos from Twitter so far give a hint of this enviable experience! 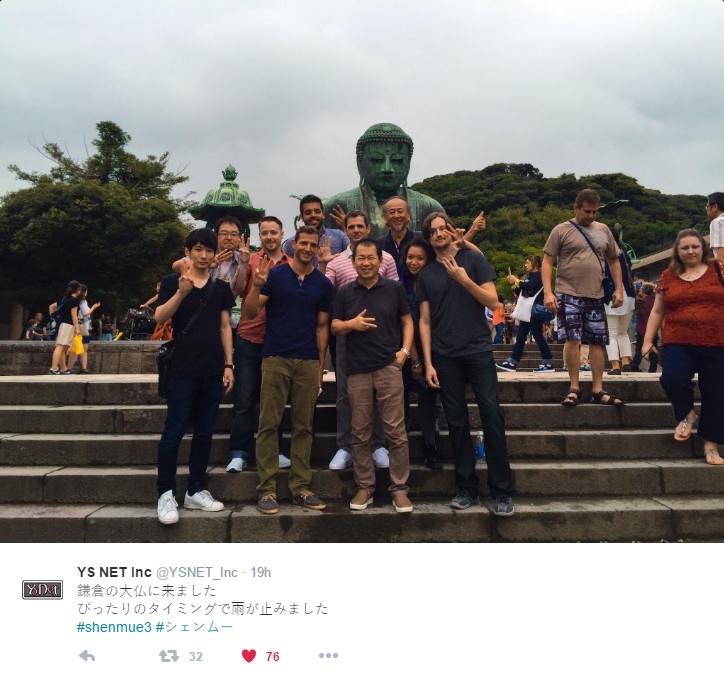 Prior to the dinner, Yu took the group on a trip to Kamakura, a small coastal city to the south of Tokyo in Kanagawa prefecture - not too far from Yokosuka, in fact. It is a place that is popular with tourists for its intimate and historic atmosphere and its many shrines and temples. The group photo was taken at the site of the distinctive bronze statue of the Great Buddha which is located outdoors at Kotuku-in temple. Sitting (literally) at around 13.4m high, it is an icon of the city - and of Japan itself. YSNET tweet: "We've come to the Great Buddha in Kamakura. The rain stopped with perfect timing." 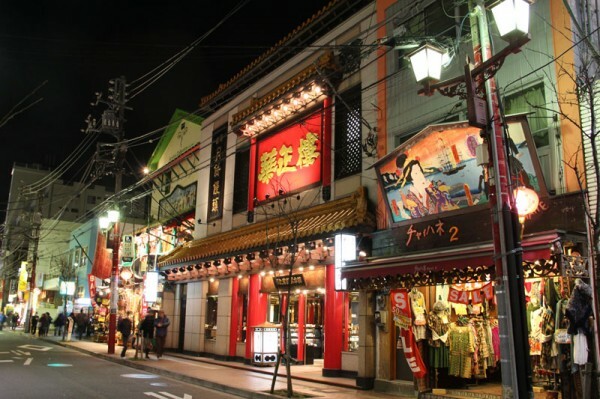 The dinner event itself was held at the Chinatown in Yokohama. A little Google detective work suggests that the venue was the restaurant "Kaseirou", with Yokohama being the main branch. 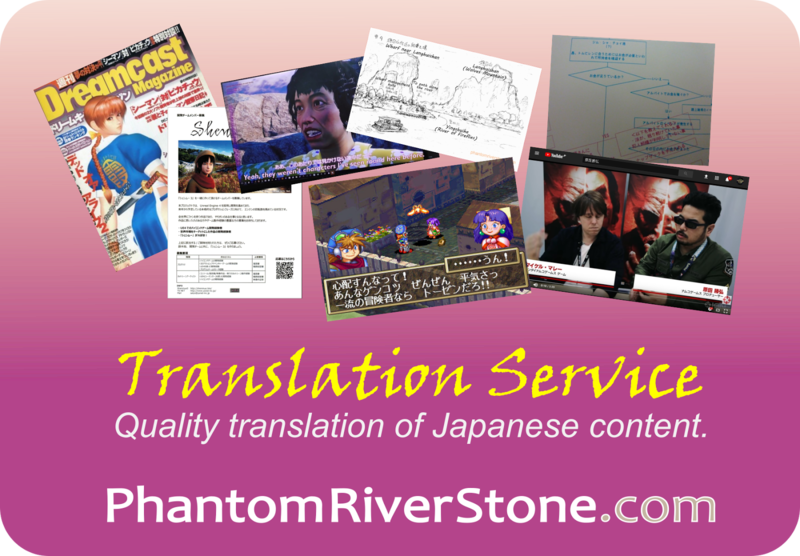 (Link: Kaseirou homepage). 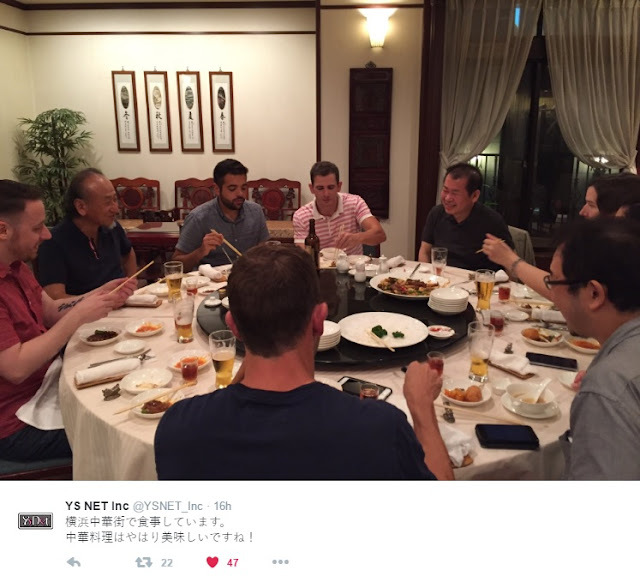 This photo from Twitter shows Yu looking relaxed and enjoying himself as host of the dinner. YSNET tweet: "Having a meal at Yokohama Chinatown. Chinese cuisine really is delicious!" As a quick reminder, the backers at the Japan Dinner Party reward level also qualify for a number of reward items, in addition to the time spent with Yu Suzuki. 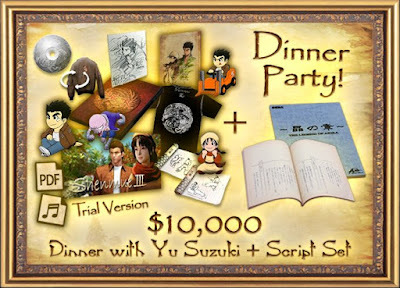 As well as being named as a Special Sponsor in the credits of Shenmue 3, they also receive a mouth-wateringly-special reward: a copy of the original script set in Japanese from Shenmue 1 and 2. 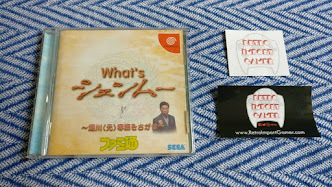 This is something I am sure every Shenmue fan would love to take a peek at if they could! Original Shenmue 1 and 2 Scripts! 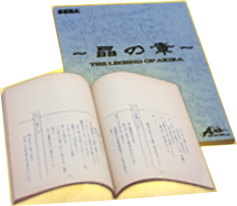 The early title, "The Legend of Akira", can be seen here on its cover. Your signed picture in the harbor waiting area for the Choubu passenger boat. Plus your name will appear on the guest register at a Choubu inn. Toy Capsule Box Set: set of 4 physical capsule toys (Ryo, Shenhua, Chai, Forklift). That's all for this quick summary. Can't wait to learn more details from the folks who attended! what a cool party. it's like hillary's, only less expensive. That's true! (And with more opportunity for forklift jokes).